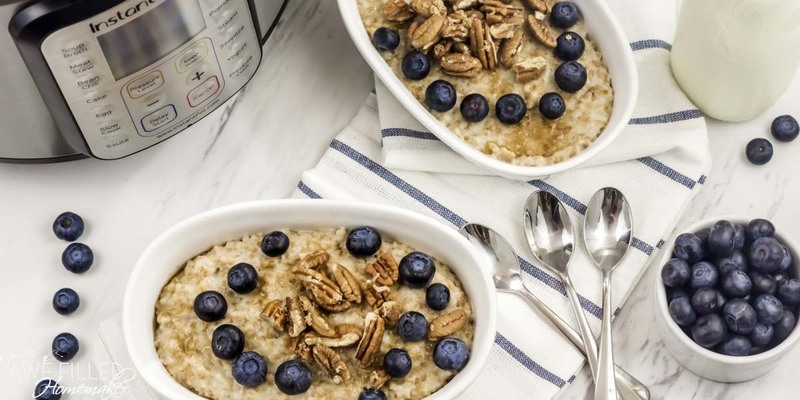 Make this Instant Pot Brown Butter Oatmeal with a topping of pecans and blueberries in the fraction of the time compared to the stove top version. 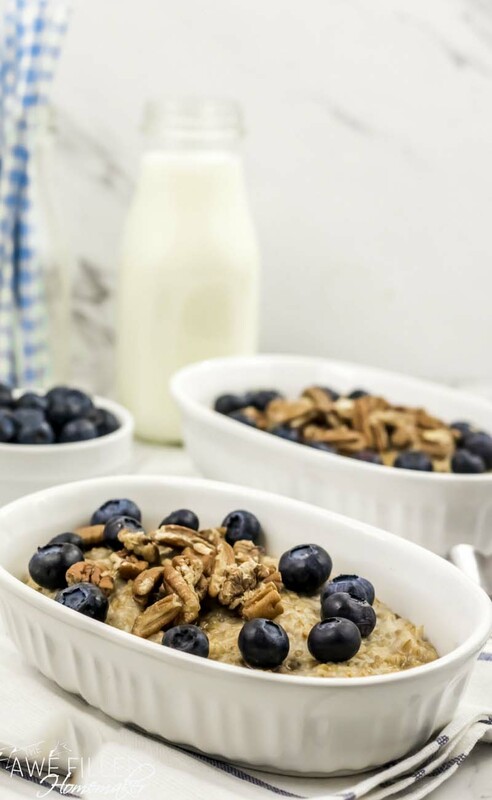 You have perfectly cooked oats that you can top with a nutty crunch of pecans and fresh blueberries for the most wholesome and tasty breakfast. 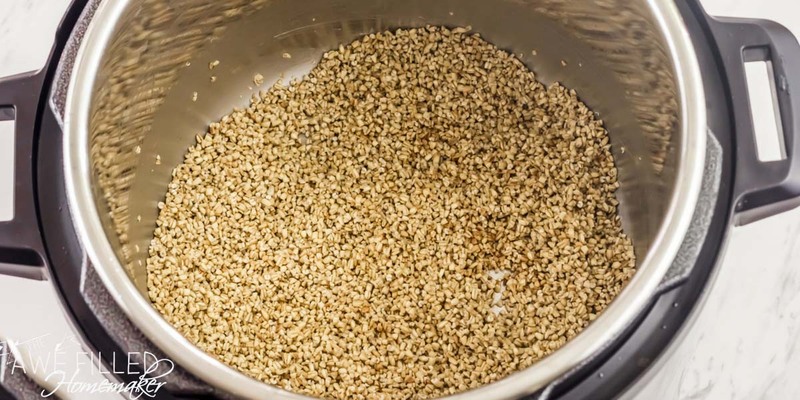 Steel cut oats have a very hearty and chewy texture that hold up well during the cooking process. Brown butter gives this oatmeal a rich and toasty flavor. 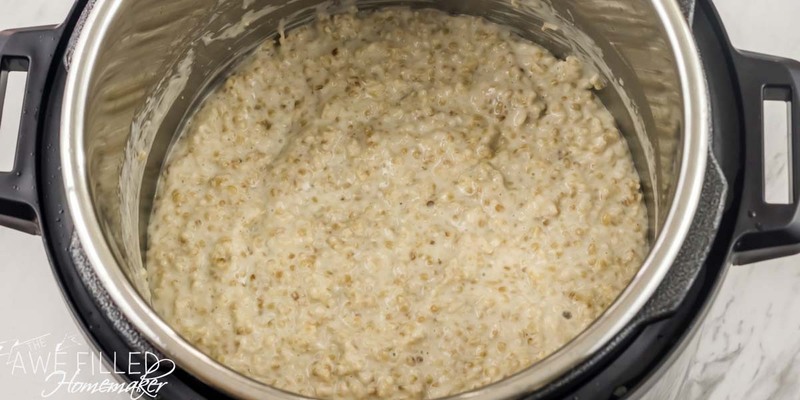 Once you have tried your oats like this, I can almost guarantee you will never want to go back to your old cooking ways. 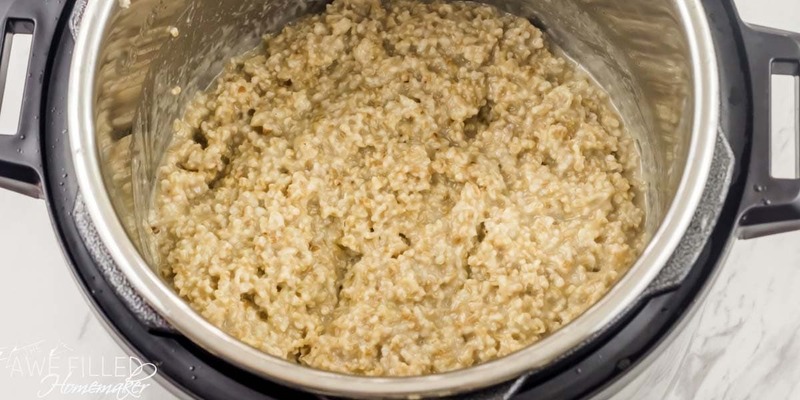 The Instant Pot makes cooking steel cut oats effortless. You don’t have to sit and supervise the cooking process. 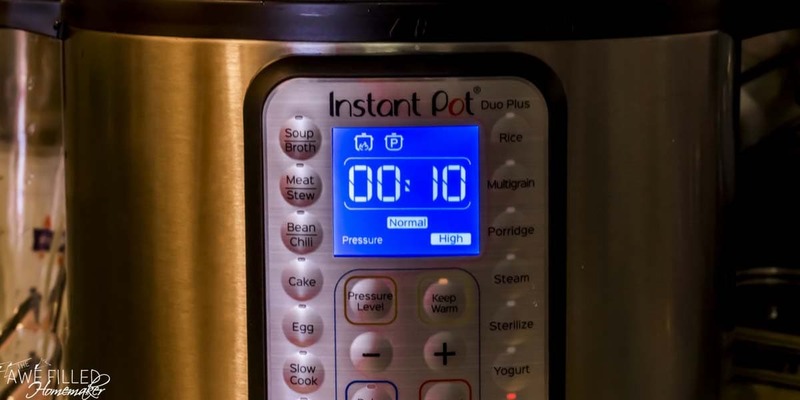 Just follow the steps, set it, and let the Instant Pot handle the rest. When it is done you will have perfect steel cut oats, ready to scoop out, top, and devour. 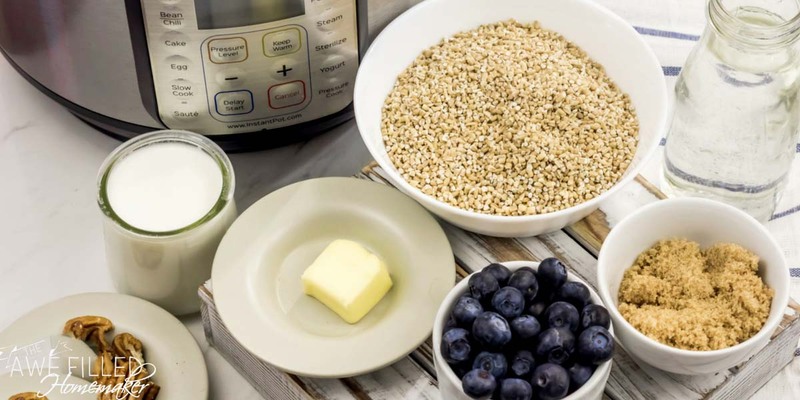 This oatmeal recipe will help keep your family full and satisfied until lunchtime. 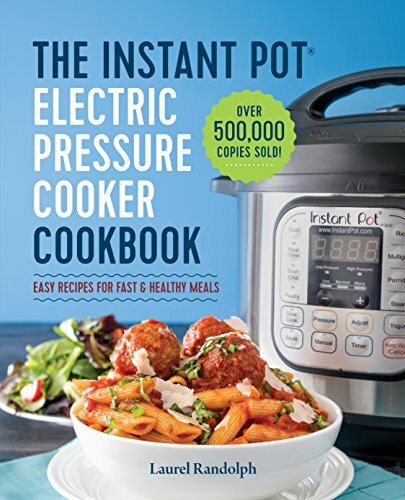 You can make quinoa, rice, mashed cauliflower and more that come out perfect every single time you use your Instant Pot. 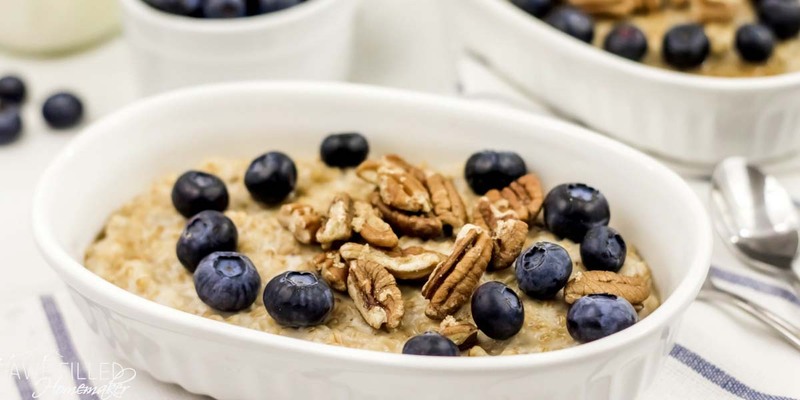 Steel cut oats are considered to be a power food! They are rich in fiber, minerals, vitamins and a great source of protein. Serving this as an option for breakfast is a no-brainer. A hearty bowl of oats will fuel your family and give their body the nutrients they need. If blueberries or pecans aren’t you favorite choice of topping, substitute with your favorite topping or eat them plain. We really enjoy the bursting flavor from the blueberries and the crunch from the pecans! This recipe is kid tested! I have two that LOVE oatmeal and they said this is the best they ever tasted! 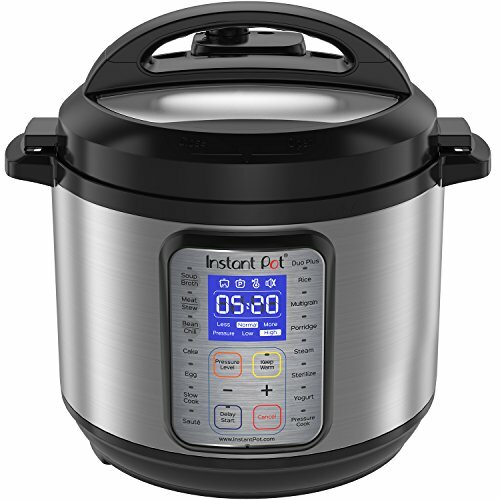 Turn the Instant Pot to the “Sauté” mode and melt the butter. Let it turn brown. Should take about 30 seconds. 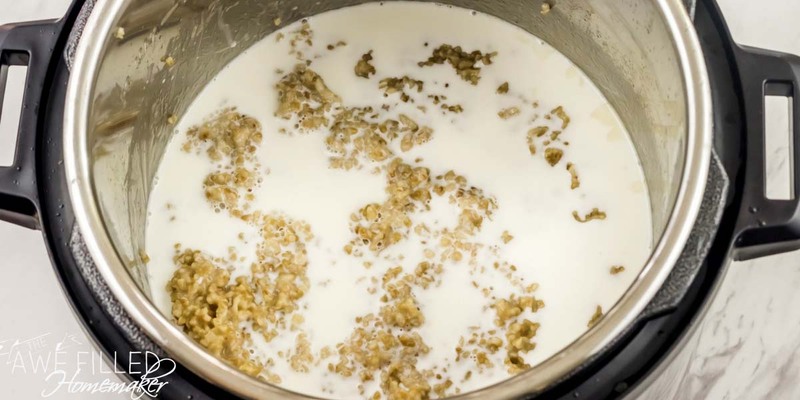 Add the oats and “Sauté” for about 8 minutes, stirring intermittently until the oats are slightly brown and fragrant. Add the water, a quarter cup of brown sugar and a pinch salt and mix well. 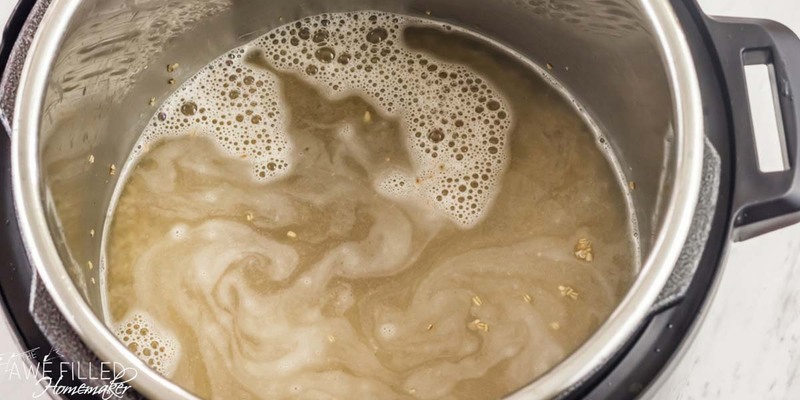 The water should cover the oats completely. Turn off the “Sauté” mode. Put the lid on, making sure that the pressure valve is in the “Sealing” position. Open the lid and stir in half and half or any milk of choice such as almond. Mix well. Ladle into serving bowls. Top with fresh blueberries and chopped pecans and/or more brown sugar, if needed. Instead of pecans, feel free to add other nuts like walnuts, almonds, pistachios or seed like chia, hemp or sunflower to your bowl of oatmeal. 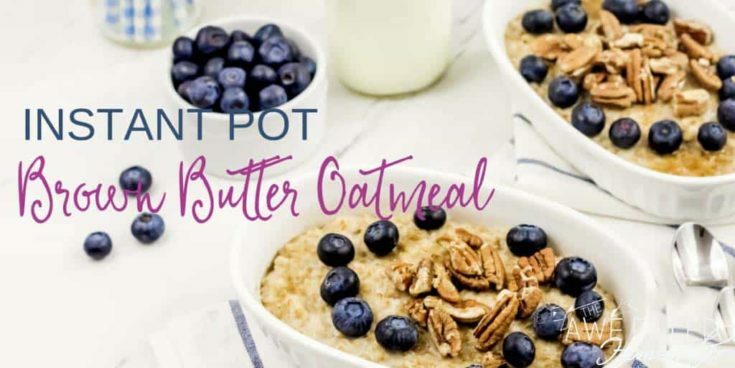 Don’t Forget to Print The Instant Pot Brown Butter Oatmeal Recipe Out For Later! 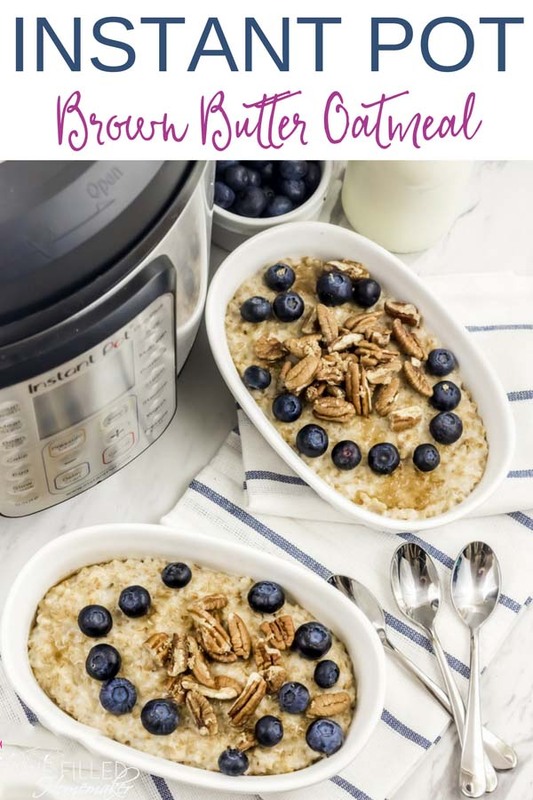 Make this Instant Pot Brown Butter Oatmeal with a topping of pecans and blueberries in the fraction of the time compared to the stove top version. 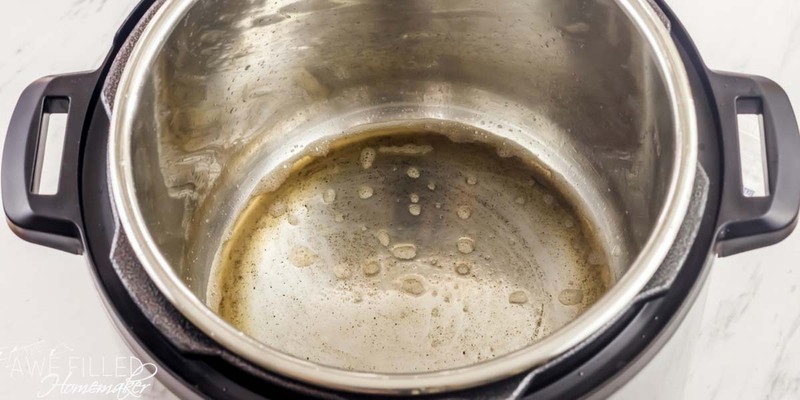 Turn the Instant Pot to the “Sauté” mode and melt the butter. Let it turn brown. About 30 seconds. Add the oats and “Sauté” for about 8 minutes, stirring intermittently, till the oats are slightly brown and fragrant. Open the lid and stir in half and half or any milk of choice. Mix well. Instead of blueberries, feel free to use any other berries or dry fruits of choice. Raisins, dried cranberries, dried figs and dried apricots are all great options.